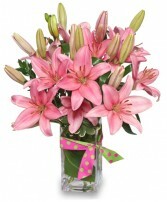 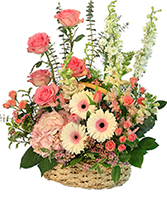 Statice, roses, stock and stargazers! 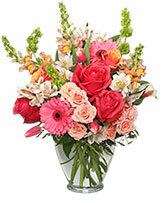 What's not to love with this romantic bouquet? 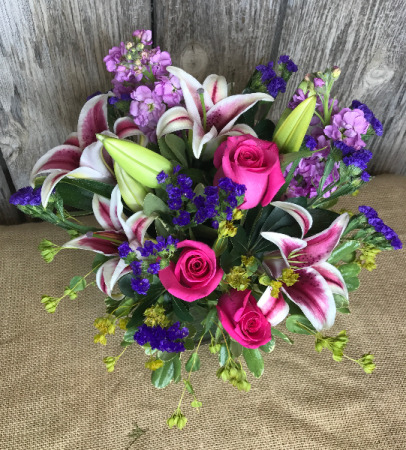 Lavender Stock, Purple Statice, Pink Stargazer Lilies, Hot Pink Roses.